Home Brands EcoSmart Eco 27 Electric Tankless Water Heater: The economic heater for your home! EcoSmart Eco 27 Electric Tankless Water Heater: The economic heater for your home! 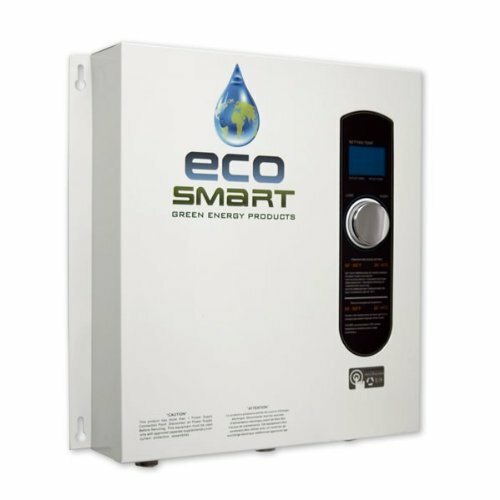 The EcoSmart Eco 27 Electric Tankless Water Heater is extremely efficient and perfect for any home. Choosing the best electric tankless water heater for your home might seem simple, but it is tricky. You need to consider various factors like energy efficiency, cost, installation, fuel source and so on. Also, before you actually purchase one of these appliances, you need to know the different types available in the market. So, let’s have a look at the different types of water heaters, and then you’d know what type of heater you need. Mainly, there are five major types available. Let’s have a detailed look at them. In this type of heater, the heated water is stored in a tank, so that whenever you need to use it, you have a supply. One of the negatives of this type of water heater is that if you don’t have an insulated storage, you might have to reheat the water, especially in the winter months. In this method, the water is heated through a pump, instead of the common heating rods. This do use electricity, but the costs depend on how you are using the water, and how hot you need it. The solar water heater uses solar panels to heat the water. You can either have a tank, which is heated by solar panels, or you might also have water through pipelines being heated through solar energy. This is somewhat the modified version of the tankless type. In this method a coil is used, and the water is heated in the indirect method. So, now that you know the different types of these appliances available in the market, let’s have a look at one of the best electric tankless water heaters. 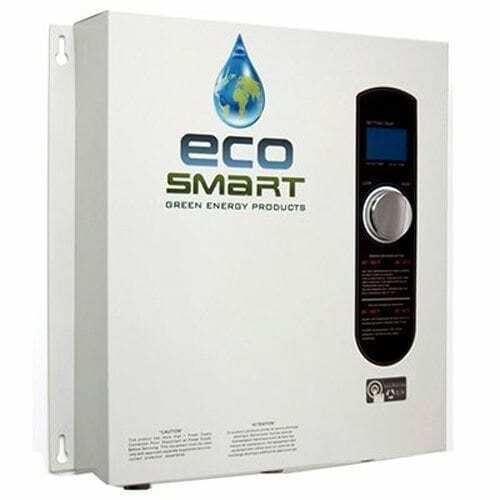 The The Tankless EcoSmart Eco Electric has some amazing features, which makes it stand out. Let’s have a look at that. The EcoSmart Eco 27 water heater is tankless and operates on electricity. So, essentially, it is an unlimited source of hot water, and is great for family owners. It comes with a WaterSense certification, lifetime warranty on the elements, and can be remote operated. Additionally, you can increase or decrease the temperature manually by one degree increments. On the positive side, this home appliance has a sleek design, is made out of copper and stainless steel elements and is easy to install. What’s more, it will decrease the energy consumption of your house depending on your usage. 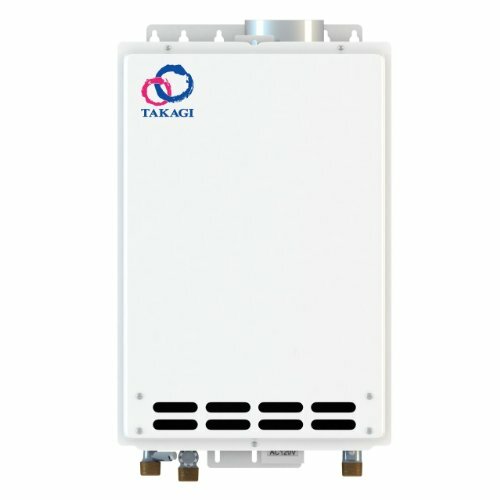 The Takagi Indoor Tankless Water Heater is another model that provides with a great set of features. Instead of electricity, it runs on natural gas (so can be a bit costly at times). You can convert it to a direct vent unit, but it is only for indoor installation. It is environment friendly, despite using natural gas, and is perfect for light heating application in residential environment. On the negative side, the price is a bit higher than the EcoSmart Eco 27 Electric Tankless water heater. Additionally, you would need a certified installer from Takagi or anywhere else to install it, and that costs almost same as the heating unit. All in all, the Takagi heating unit might not be a great option for a family house, and is not cost effective enough. If you do know how to install gas operated heaters, then you might give it a try. However, for users without proper technical knowledge, it can be a nightmare and even hazardous. When it comes to water heaters, you need to choose between the different power sources, like natural gas, solar or electric. It is safe to say that the electric water heaters are the easiest to install and maintain compared to others. Also, they are more energy efficient compared to the other energy sourced heaters. Keeping this in mind, the EcoSmart ECO 27 Electric Tankless Water Heater is a great option for you, if you are looking for an energy efficient appliance to heat water. Rating of the model classes it as one of the best electric tankless water you can buy as it provides excellent value for money and has some characteristic features, which makes it one of the best in the market. Add to it the brand name of EcoSmart, and you have a stellar product for your house. All in all, the EcoSmart Eco 27 Electric Tankless Water Heater is a heater you cannot miss out on, if you want quality product and amenities for yourself.